Siddharth “Sid” Chatterjee is the United Nations Resident Coordinator for Kenya. He writes on humanitarian and development issues for media outlets such as CNN, Al Jazeera, Forbes, and mainstream Kenyan and Indian journals. Siddharth “Sid” Chatterjee has been the United Nations (UN) Resident Coordinator for Kenya since 26 August 2016. Until this appointment, he served as the UNFPA Representative for Kenya, spearheading efforts to reduce the unacceptably high maternal deaths in Kenya, putting the spotlight on the challenges faced by adolescent girls, including child marriage, Female Genital Mutilation (FGM) and sexual and gender-based violence. Before he joined UNFPA in 2014, he served as the Chief Diplomat and Head of Strategic Partnerships and Resource Mobilization at the International Federation of the Red Cross and Red Crescent Societies (IFRC) since 2011. He has served in the UN since January 1997, and most of his career has been spent working in fragile states and complex emergencies. 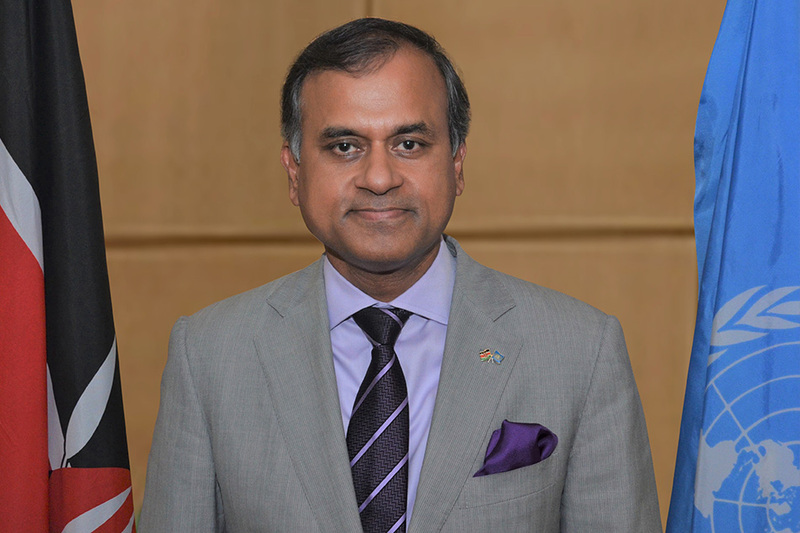 From 2009 to 2010, Sid was Regional Director for the Middle East, Europe and Central Asian Republics at the United Nations Office of Project Services. He was Chief of Staff to the Special Representative of the Secretary General for the UN Mission in Iraq. He has also served in leadership positions in UNICEF offices in Somalia, South Sudan, Sudan (Darfur), Indonesia and with the UN Peace Keeping Operations in Bosnia and Herzegovina and Iraqi Kurdistan. His early career was in a Special Forces Unit of the Indian Army, where he was decorated in 1995 for bravery by the President of India. He holds a Master’s degree in Public Policy from the Woodrow Wilson School for Public and International Affairs at Princeton University, USA, and a Bachelor of Sciences from the National Defence Academy in India. A TEDx speaker, Sid writes extensively on humanitarian and development issues in a variety of journals such as CNN, Al Jazeera, Forbes, the Guardian, the Huffington Post, Reuters, the Global Observatory and mainstream Kenyan and Indian journals. He was profiled by Forbes magazine in an article titled Passionate Leader of UNFPA Kenya Battles Violence against Women, FGM and Child Marriage. Sid is married and has a son.